Europol announced the adoption of a new protocol for law enforcement bodies in the EU and abroad to respond to major cyber cross-border cyberattacks. The protocol dubbed EU Law Enforcement Emergency Response Protocol aims at handling major attacks such as massive WannaCry and NotPetya attacks. The protocol supports the EU law enforcement authorities rapidly respond to major cross-border cyberattacks. The protocol promotes a rapid assessment, the secure and timely sharing of critical information, and the coordination of investigations is a multinational context. The Protocol is adopted to only respond to cyber security events caused by both nation-state actors and cybercriminals, incidents caused by natural disasters or ones resulting from human error or system failure are out of the scope of the protocol. 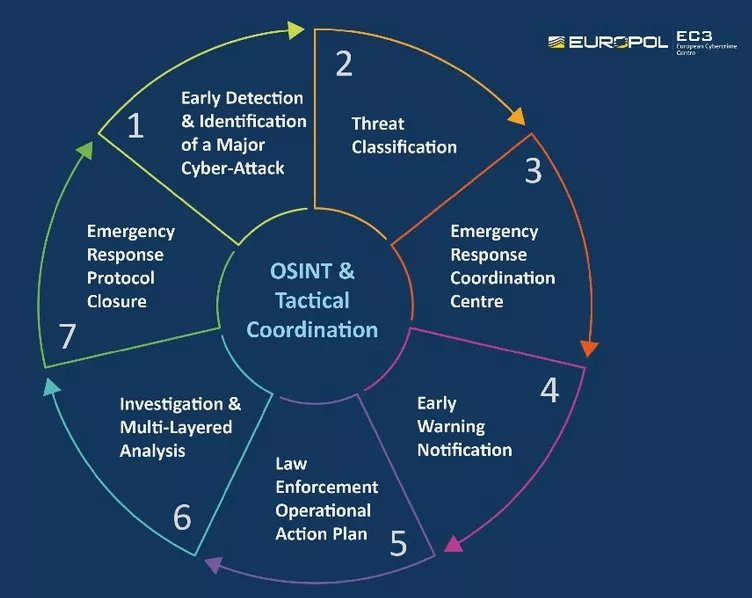 “The EU Law Enforcement Emergency Response Protocol determines the procedures, roles and responsibilities of key players both within the EU and beyond; secure communication channels and 24/7 contact points for the exchange of critical information; as well as the overall coordination and de-confliction mechanism,” Europol said.